CHAMBER MEMBERS...Join us for our May Marketing Focus Group. 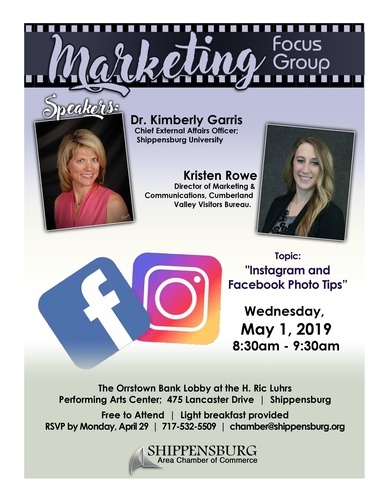 Our topic will be "Instagram and Facebook Photo Tips". Free to attend. Light refreshments provided.